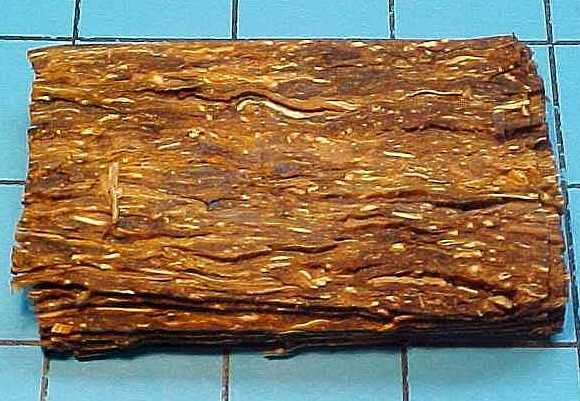 Though we believe that the price these legendary tobaccos are offered for here are as low as they can get, we have a special offer that will make them, and the shipping, even more economically attractive. Just send us a message and we will tell you all about it. 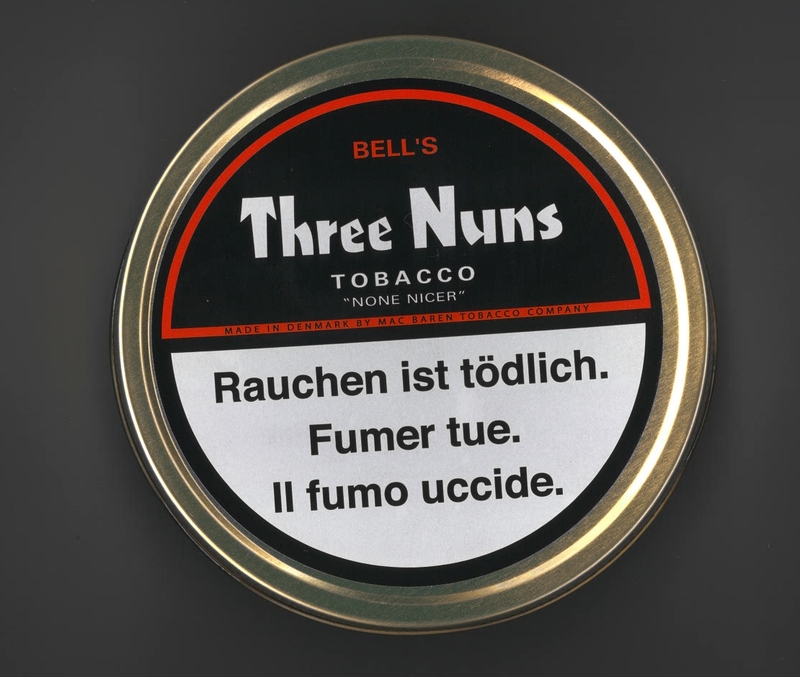 "A blend of dark fired and sun cured tobaccos mixed with the finest Brazilian Lights to produce the unique flavour and mellow smoking characteristics for which Three Nuns is famous." Louisiana Perique is also present in a good portion. This tobacco is every bit as good as it is claimed to be. Whether or not it is similar/identical to the older version is nothing I want to get into, since it has no purpose. I do enjoy smoking this one, and I like the natural, sourish taste and aroma. It is a treat for anyone who appreciates natural, pressed VAs with Perique. The taste is very consistent till the last shred of tobacco. You can either pack it as it is or rub it out; in any case, it is a slow, cool burning tobacco. The combustion is also quite regular. I see it as a tobacco you could smoke the whole day long, and it has a pleasant after-taste, and does not compromise the taste of the pipe(s) you smoke it in. The taste and aroma of the Perique is quite evident, and is truly delicious. "A medium to mild blend of carefully selected Virginia tobaccos with a natural aroma enhanced by a subtle flavour." I must admit the smell of the tobacco unsmoked might be a turn-off to those who prefer and are used to natural tobaccos. 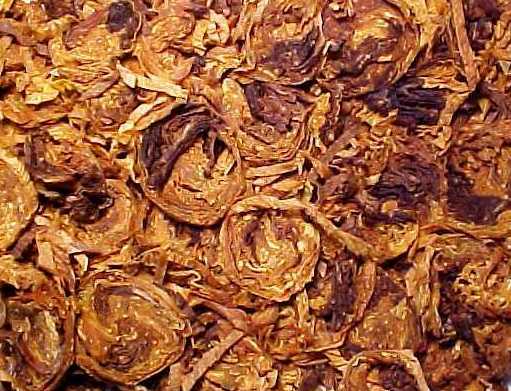 However, the smell seems to dissipate quickly, and the tobacco starts smelling more like a natural tobacco. Having said that, the smell is very pleasant and fruity, though a bit too sweet to those who are used to (more) natural tobaccos. The tobacco was tinned too moist as most British tobaccos are. I had to let it dry out for a while before packing. The name Navy Cut is evident in the wide "flakes", each as wide as the inside of the tin. I started enjoying it more with my third bowlful and onwards; the taste and aroma became more discreetly sweet. 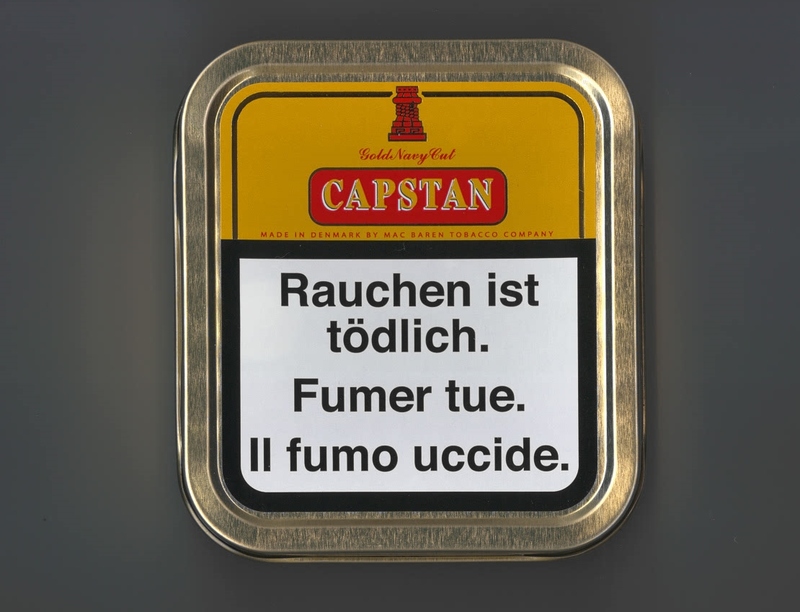 I see it as a good tobacco to smoke any time of the day, and especially in the company of non-smokers as well as outdoors (if you don't rub it out well). Not listed. May be the same as Medium. What surprised me upon opening the tin is the color of the flakes: It's so orange that it's hard to believe this is the natural color of the leaf used! The smell is very similar to that of the Medium, but this one is a bit more sour. When lighting it, I got a confirmed taste of "orange"; I wonder it is flavored with orange! It's truly mild, and I had a strong desire to smoke a strong(er) tobacco right afterwards. I very much recommend letting it dry out for a while before smoking it for the first time; it was tinned to moist, to my taste. 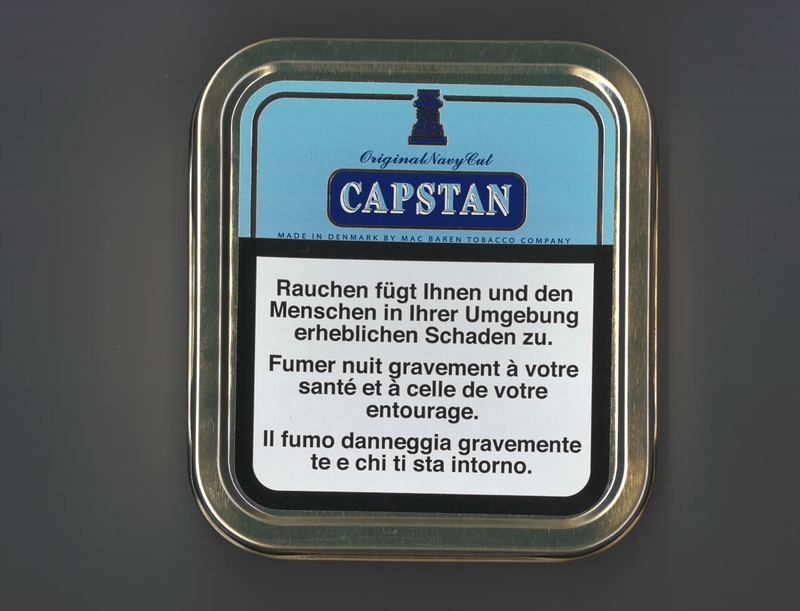 What bothered me during the smoke is the lack of consistent taste of "tobacco"; I taste "orange" more of the time. 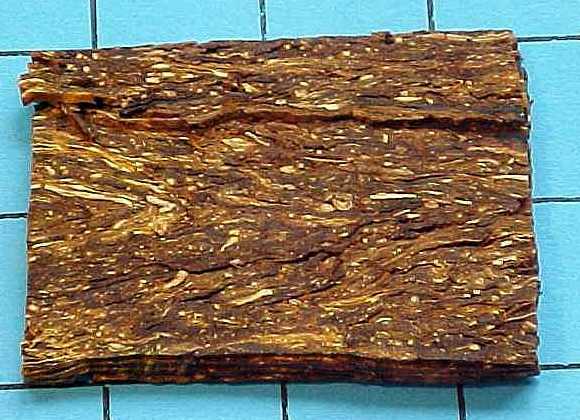 It might be a very good transitional tobaccos for flavored tobacco smokers who would like to get into natural pressed VAs.